With its contoured curves and generous cushioning, the Hayden Counter Stool by Sunpan is enticingly inviting in its understated elegance. Featuring an uncomplicated aesthetic combining both contemporary character and classic comfort, Sunpan�s Hayden Counter Stool is available in your choice of lush neutral-hued upholstery styles, each complemented by slender yet stable matte black legs. Includes a barrel back for superior comfort. Available in numerous dazzling colors. 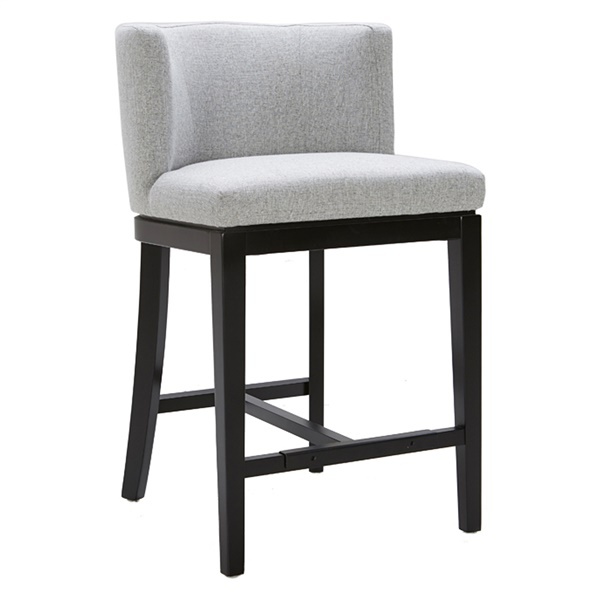 Sleek, innovative design makes the counter stool an excellent choice in a contemporary dining room or kitchen. Matte black legs provide outstanding support. Boasts a center stretcher and black metal plate for increased durability. Fabric back and seat deliver immense quality.